Use your favorite game to learn the basics of modding and foundations of programming. 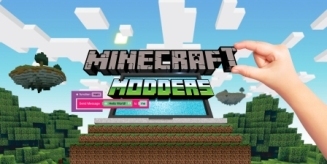 Learn scripting and logic statements as you create your first mods! Introductory coding will also be taught through a simulated environment inspired by Minecraft?. Student projects will be available on a password protected Black Rocket website to share with friends and family. To access their project at home students must own a PC/MAC version of Minecraf?t. Tablet, phone, and game console versions of Minecraft are not compatible. Students will work in pairs or teams for most of the program. Returning students can create more advanced projects that build on previous years.